The story takes place during a conflict between the Krakozhia Dukedom and the Grania Republic. In the midst of the fighting, a saviour appears to the Krakozhia Dukedom, and it is a high school student named Souhei Yano. 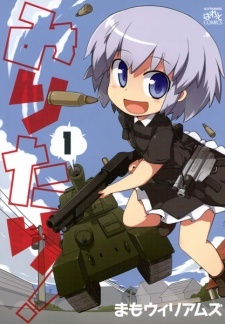 Two female soldiers, First Lieutenant Ruto and Second Lieutenant Haruka, appear in tanks to intrude on Souhei's everyday life, followed by the enemy soldier Shachirofu, all of whom use firearms without hesitation at his house.